Medieval and Renaissance costumes from Australia! 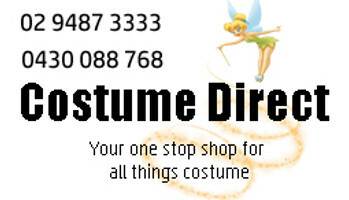 Costume Direct ships fast Australia wide! The Medieval period, or Middle Ages, lasted from the 5th to the 15th century in European history, preceding the Modern period, carrying into the Renaissance, which was born in Florence and spread to all of Europe, covering the 14th to 17th centuries, and is considered the bridge between the Middle Ages and modernity. History lesson aside, you have at your feet an enormous array of period costumes to choose from to depict the fashions and famous peoples of the Medieval and Renaissance periods. Bring the romance of Camelot back to life in your Lady Guinevere costume, with Lancelot at your side. Spend the nights deciphering ancient scrolls and reciting religious texts in your Monk costume. For parties,events and medieval fantasy epics, we have Game of Thrones costumes, Lord of the Rings costumes, we have the most stunning Medieval and Renaissance costumes for you! Revisit Heath Ledger's peformance in A Knight's Tale, or for couple's , you'll shine in Robin Hood costumes and Maid Marian fancy dress. From court jesters to gladiators, knights in shining armour to dragons, we'll have you looking right at home in the historical period. You'll dazzle in a medieval dress awaiting the return of your beloved king, or with a group of friends as The Three Musketeers, swords and feathered-hats galore! For kids and adults alike, explore our exciting and diverse range of Medieval and Renaissance costumes!